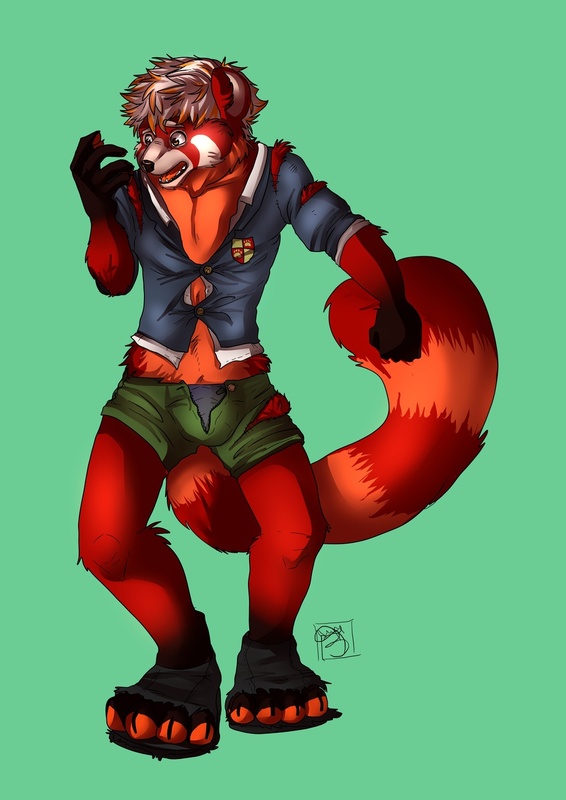 The very first pic commissioned of my fursona, Kwandry (Kwan for short), the Red Panda with a growing problem. Commissioned from the wonderful Uki. See the original (and fave!) here!